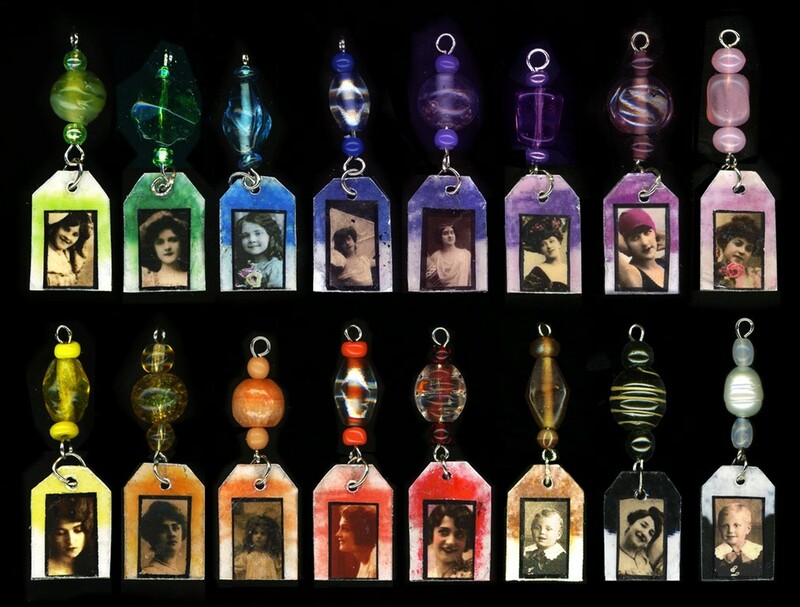 First is the set of charms that I made for a Paper Traders swap. 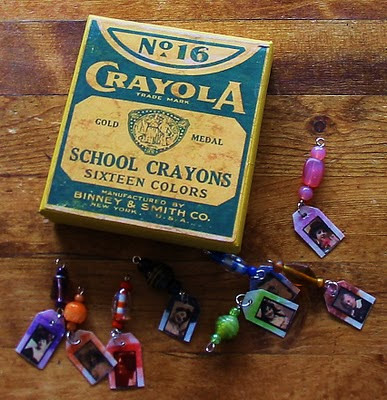 They were to reflect the colors in a box of 16 crayons and were presented in the little box that I made using an image of a vintage box of Crayolas. 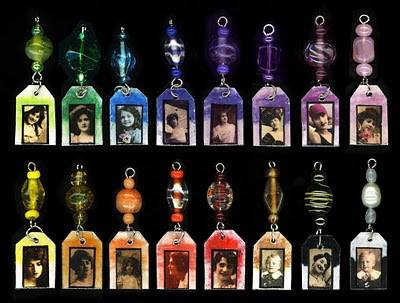 The charms were made of tiny photos embedded between two layers of natural mica. Here are some fabric ATCs that I made for a swap on Paper Traders. 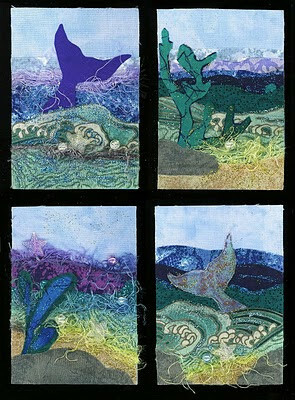 They are pieced with different fabrics to make the backgrounds, then embellished with pearls, fibers, and glitter. 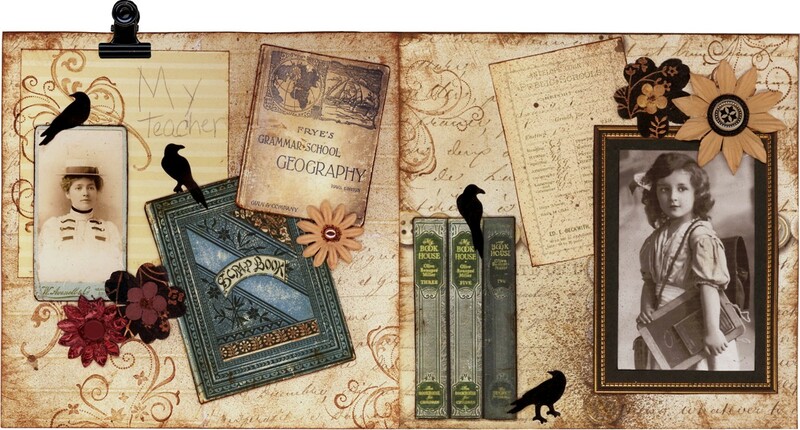 This is the tip-in journal spread that I did for my friend Marion. Her theme was School Days. Finally we have a shrine I made for our Paper Traders group's Anniversary Project. The theme was "the number 4" as we have had our little art group for over 4 years now! This little shrine features a mini-matchbox set behind the opening showing off the four little girls. 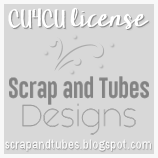 The main background is some spray webbing paper that I made up myself. 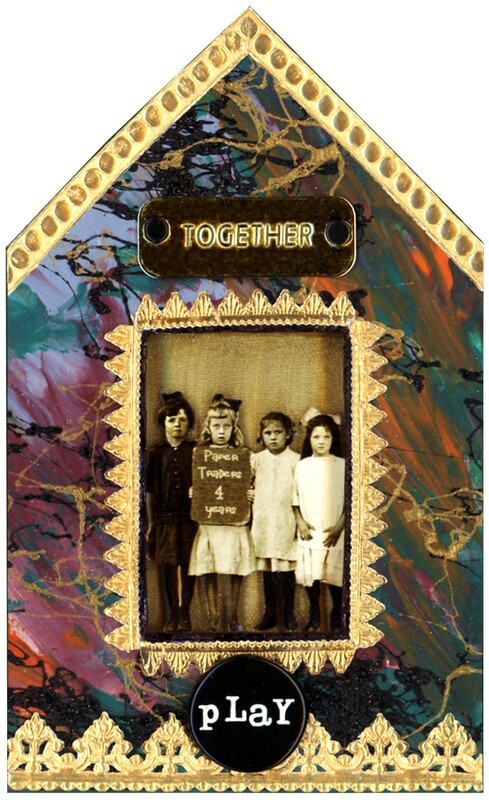 A lot of German scrap and a couple of word charms complete the assemblage.